Finally Free of Neck and Back Pain! I am so excited to share with you that I have finally turned the corner in my corrective care regimen with my chiropractor! I shared some insight on the benefits of chiropractic care in this post, but have more to add to that recipe today! I took a yoga class called "Relieving Tension in the Neck and Back" while at our local LoveYoga Festival (more tips from the fest here) this summer and had a huge a-ha moment! Get this ~ one of the most common reasons why people have back or neck pain is because they haven't actually been willing to LET IT GO! What a concept! Seriously though, letting go of something that sort of defines you is a scary thought! What's on the other side? Who will we be when that pain is gone? What is the real subconscious thought pattern that is perpetuating that stressor, or manifestation of pain? Honestly, if you sit with that it's kind of crazy to think that we hold on to stuff because it's comfortable. We've gotten so used to it! Because I believe that everything in our physical world starts with the seed (thought), it makes sense that affirmations would help with letting go of the pain! I read an AMAZING e-book called "Heal Your Back Now" based on Kundalini yoga applications, and it explains the metaphysical aspect of each vertebra and what has been the reason for your pain on a very subconscious level. For instance, the neck area is generally a place where people are too rigid or controlling in life. The middle back pain indicates a fear of trouble in one's environment. The lower back pain suggests there may be an unequal exchange of power and energy and feelings of being unsupported. Coupled with getting a harmonyum treatment from my friend, to address the body of pain and calm the nervous system, I have finally LET GO of the pain! I also upped my fish oils and turmeric supplements to help with inflammation, started taking joint support and rubbing joint balm and essential oils on my neck, knees and ankles to help. I realized after the fact, that this was all happening when I was in my Saturn Period which affects your bones and joints! HA! So there you have it, as my chiropractor always says, pain in the spine is a result of 'thoughts, traumas, and toxins". I highly recommend getting adjusted, getting a harmonyum treatment (from me! ), and looking at the metaphysical aspect of your pain ~ from an ayurvedic and Divine Spiritual Wisdom perspective, because health is a state of well being in the mind, body and spirit! I can help you balance your health through these principles! The quickest way is by scheduling a hands on healing treatment. As I sit here writing, it has been snowing non-stop now for the past 12 hours or so. (This was last Thursday) We have at least a foot of snow on top of the already accumulated 3-5ft drifts and banks all along this sandbar we call Cape Cod. (Thank God it's starting to melt!) Farmers Almanac predicted it would be a bad winter, but I don't think anybody could have prepared for the relentless snow we've been having. I'm not complaining however, I think it's actually really beautiful, and it is winter after all, so why not bask in the snow days and cancelled work / excuse to stay at home in your pjs and watch marathons of Downton Abbey and House of Cards?! The only thing that's cramping my style is not being able to get outside and go for my daily walks! I've blogged about it many times, but it is so important to get outside in nature and 'dust off your aura', de-clutter your mind, ground yourself, and re-invigorate / re-inspire your soul! It's tough to do that when you're slipping and sliding on the streets, or without a plowed and salted sidewalk however! Thus, the hibernation / stagnation ensues. Yoga classes help, but the energy is heavy this time of year, and everybody is going within. We are all plopping down on the couch, feeling less inspired and restless! Do not fear because once the first day of Spring hits, we will enter into the Universal Planetary energy of Sun!!! Yay!!! 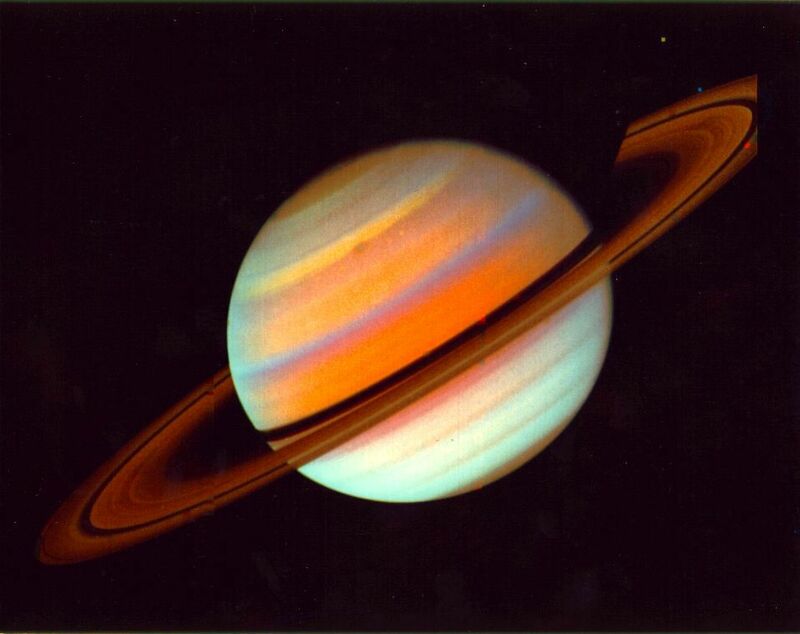 For the 53 days prior to March 20th, we are under the influence of Saturn, which is why we feel that heavy energy that makes us want to go within, isolate, withdraw, feel fearful/ not playful and experience delays or setbacks. Saturn forces us to clean up our karma, as I've mentioned before. It's the Divine Mother showing us all that is not working for us, teaching us lessons so we can contemplate and move forward with new seeds of intention to plant for the upcoming Sun period. Hopefully this will give you a little peace of mind when you're feeling the 'winter woes' as we all have been. Rest assured, everything ebbs and flows, and we will be on the up and up, collectively, very soon! As much as we resist this heavy energy, we should try to learn to embrace it! If we align and flow with the laws of nature, we can start to appreciate staying in doors for a few months because there is inner work to do, just as there is much to do during the other seasons and planetary energies. For instance, during the summer, we are under the universal energy of Mars ~ a very active, magnetic time of year where we accomplish a lot! And during the spring / Sun period, we experience a renewal, a time to focus on our health, and feel inspired and creative! There has to be a yang to the yin, it's just the way things work...so allow yourself to do less, to hibernate, relax and slow down to take care of yourself. Just as we have a universal planetary calendar year, we also have personal planetary calendars as well. The 53 days before your birthday, just like the earth's birthday of the first day of spring, is your Saturn period, so you may recognize that time of year to be challenging to you on a personal level. Anytime we are under the energy of Saturn, we must pray, we must go within, we must listen and take time to really consider the lessons we are handed. If we don't, the patterns will just keep repeating themselves in different ways, until we learn from them. In my Universal Kabbalah and Naam Yoga studies, I have learned that the 53 days prior to your birthday bring up karmic lessons that need to be healed. This is based on our own personal planetary calendar year, where we move through the energy of Saturn. Ever noticed how the time leading up to your birthday is often challenging? Hopefully you can now find some peace in knowing why that is... Saturn is the great teacher, the Lord of Karma. What has been hidden from us will show up for us during this time so that we can give it attention, love, and then let it go, to evolve into our next year and manifest the things that we desire in our Sun period (the 52 days from our birthday, on). I'm learning to un-learn everything that I've learned ~ I 'know' the rules but now it's time to break them by finding my own balance point in moderation and 'rule following', by staying true to the own master within my heart. I'm learning to love ~ to be open and authentic, to let go of fear, doubt, insecurity, worry, or any negativity. To be love and to share love. To have faith that everything is perfect right now. To stay anchored in my spiritual practice of yoga and meditation and self care. By filling up my vessel with love and light first and foremost, through prayer, breath work and asana, everything else just ends up being icing on the cake. I'm allowing myself to feel my emotions, crying when I need to, and journaling my thoughts to move through and release the clutter, so I can stay neutral without getting swept up in the ego driven mind. (To pay attention to the 'stuff' that needs to be healed and to lean on SELF LOVE). I hope you can relate to some of these lessons and bring them into your life however you may. I'm so grateful for Saturn's teachings so I can learn and grow from them to take with me into my next personal year where it's time to Manifest in my Sun period!! Yay for 33! allow me to explain why. according to kabbalah teachings, we are in the universal planetary ruling of saturn from january 27-march 20th. saturn is the lord of karma. the energy of this planet sets restrictions and obstacles in our path to allow us to learn and evolve, if we welcome it. whatever seeds we have sown will resurface under this energy. during these 52 days, we all experience the energy of what feels like a dark cave. it is a time of introspection, forcing you to see what does and doesn't work for you in your life. the laws of nature ebb and flow with the change of each planetary ruling every 52 days. subsequently, we have support or limitations in our favor. the latter being our experience right now. hopefully this will give you some validation and understanding of why this time of year may be difficult. when you design your life according to the constant changes in the universe, you can navigate with ease. take a deep breath, and know that you have all the will within you to persevere through tough times. if you haven't seen the movie, "life of pi", i highly suggest that you do. it's a magnificent story of hope, faith and love. often times we overlook the essence and beauty in our daily lives, but to really FEEL connected, inspired and safe, we must choose to see what surrounds us--love. we must choose to have faith that the impossible is possible. we must believe that we have within us, the power to push through blocks, ignite our unique gifts and talents, and create miracles. our needs will be met, but we must trust that it will come in the form that's best suited for us and at the best time for us. patience is a virtue that must be practiced, and only comes with maturity and wisdom. saturn teaches us the importance of this deep, spiritual growth. to ignite the limitless power and creation within us and blast through the obstacles, we must strengthen our aura. the aura is an electromagnetic field of energy that each of us possess. it extends out at 9ft. in each direction and encompasses the 90 percent of ourselves that we cannot see. just as we meet the needs of our physical body with water, food, sleep and personal hygiene, we must meet the needs of our spiritual/energetic realm. i recommend during this time to go inward, and find what does and doesn't serve you. make a list of where you're thriving, and then make a list of where you're stuck, getting all your thoughts out on paper, forcing you to look at them directly. dedicate 11 minutes of silence to yourself each day. turn off the noise of the world and focus on your third eye--the space between your eyes in your forehead. practice long, slow, deep breathing through your nose. allow your inhale to expand your stomach, then your lungs, then your chest, and then exhale first through your chest, your lungs and then all the way out your stomach so that your belly button reaches the spine--let all the air out, and repeat. the breath controls the mind and will allow you to become neutral, so that you may hear your inner voice--your intuition--your guiding teacher. to further strengthen your aura, practice doing star pose daily for a total of 8 minutes. this is THE best pose in yoga to do, according to naam yoga therapies. it opens all the meridians in the body, allowing the flow of energy to circulate and push through stagnation. it balances the polarities in the body, and has the ability to close any gaps in your electromagnetic field where negativity can seep in, or your own energy can escape, causing you to feel burnt out and depleted. stand with legs spread apart as far as they can go, and your arms straight out, parallel to the floor at shoulder level, palms facing up, so you look like a star. you can chant a mantra, preferably triple mantra, which can be downloaded on www.rootlight.com, to remove any internal and external obstacles. or you can practice your long deep breathing while holding this pose for 3 minutes. then switch so your feet come together and your arms are clasped above your head, elbows straight and covering your ears, for 5 minutes. when the time is up, tighten your body and hold for a few seconds and then fold into a forward bend to let the energy settle upon you and work its magic! it comes as no surprise, that during this time of year we intuitively crave heartier meals. our bodies know that its a time to go within, to strengthen and to nourish, so choose stews, beans and whole grains to keep you sustained and grounded. there is no denying the ebb and flow of the universe and the changes of seasons. when we welcome the energy, the energy can flow through us with ease. if we go against the laws of nature, and eat cooling fruits and raw salads, we are just causing unnecessary frustration and angst on us as a whole. walk outside for a total of 30min daily. our bodies need to move, and we need to be surrounded by nature. there is strength and great life force, also known as prana, in trees. a tree is deep rooted and strong, providing us with the energy we need for endurance. no matter how cold it is, you will feel invigorated after being outdoors. get out of the stagnant heat circulating in your home, and the lethargy of sitting around watching t.v., zapping you of vibrant energy from the electrical currents in technology. circulate all the stagnation in your home, letting nature's life force enter and uplift your spirit. crack the window in your bedroom, your bathroom, and your kitchen for 30minutes a day. notice the energetic shift. by march 20th, you will be a stronger, wiser, more loving being, ready to plant your seeds during the universal sun period, where the universe supports all that you desire!